*Uses an average 340 day gestation period for a Mare. Horse gestation periods can generally be anywhere from 320-370 days. The Horse Pregnancy Calculator is a much simpler process to use than the traditional Horse Gestation Chart. The traditional gestation chart is where you had to count the days until your Mare’s due date. This calculator is no way to take away from the need for you to seek a veterinarian’s professional advice. Their opinion is valuable about your horse’s (equine) gestation period. There are many items a professional vet will notice about proper care for your horse. Did you know horses need to sleep lying down to meet their REM sleep needs? But they can also sleep standing, but just won’t meet their REM sleep needs. GestationCalculator.com is providing this mobile friendly Horse Pregnancy Calculator as a service. This service is for the Horse owner community to help website visitors answer the following questions. What is a mare’s due date? How Long Are Horses Pregnant For? How Long is a gestation period for horses? It’s important that you enter the 1st day your Horse was bred for it to work properly. Some horse breeders will find this tool very helpful, so remember to bookmark it. Also, try using any of our other gestation calculators just for fun! Please direct any questions you may have to askabreeder@gmail.com. 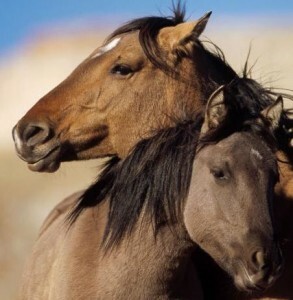 The Gestation Period for Horses is approximately 320-370 days from the first breeding. Horses will not always conceive after one breeding and will generally mate multiple times in one cycle. The Horse Gestation Period Calculator above attempts to generalize the estimation of the due date. This is without any additional factors using a 340 day gestation period for horses.